Early this year Dassault Systèmes (DS) announced their future strategy called 3DExperience and it is only now after their two major events, the 3DExperience forums in the US and Europe, that the discussion has started around the meaning of 3DExperience. In February, I thought 3DExperience was just a new marketing approach from DS to differentiate themselves from other vendors. A little more 3D, PLM has a bad connotation and as some of the newcomers redefined what is PLM, it made sense to be different again..
One of my fellow European bloggers, Yoann Maingon started a discussion with his provoking blog post: Different Marketing Strategies And Naming in PLM. Read the post and specially the comments from Jim Brown and Joe Barkai, who bring perspective to this post. In addition this post got traction in some closed LinkedIn PLM groups and it was interesting to observe that different interpretations of PLM created somehow the same feeling that I have with religion. Stay with the book and the definition of PLM and complete your portfolio was the message. But which book and what is PLM ? 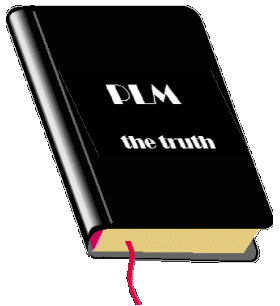 Even if I would write the book: “The Truth about PLM”, who would consider my book as the authority. We have learned from religion that concepts based on a book can lead to wars. I am sure PLM will not go into that direction and it remains important not to focus on the definition of PLM, but at the end you want your customers (current and future) to be more efficient, more innovative and profitable. And in order to achieve that, you need to look at the whole process, starting with market interaction and delivery to the customer. What has become clear in the past ten years is that we are in a global, changing market and specially traditional companies struggle to make a change which is future oriented. Customer loyalty was in the past based on the fact that you were in the same region, later the same country, but now everyone is shopping or sourcing around the world. Traditional markets and business are no longer secure. So companies have to change and to my opinion one of the most important changes they have to go through is managing all information in their company (and from outside) in a shared manner. Products can no longer be defined without taking into account feedback and interaction from the market. Trends (positive or negative) related to your company or products need to be followed as they can kill or hype a product or your company. To realize this change a company needs to start working different and this leads at then end to the need for different tools to support your changing processes. Here I see PLM systems coming into the picture. And here there are the two approaches: will you be selecting a single vendor with the richest PLM platform, or will you integrate a set of best in class applications. As we saw in the Tech4PD discussion there is no ultimate decision here. I see the 3DExperience strategy from DS in this light. The classical scope of PLM tools and practices does not provide a base for the current and future markets. The solution is bigger than tools, it is the focus on the total experience (I could not find another name either). It is a way to become attractive for your customers and not focus only on the product but also the way you can influence your potential customers to choose your product or service above others. DS call this the new era of 3DExperience, others will market it different. In a consumer market we select products based on experience. Has anyone ever tried to justify the purchase of an iPad as an affordable device they need for their work ? There is one thing I dislike from the 3DEXperience approach. Blogging becomes expensive, as writing down the word 3DExperience – a mix of numbers and characters – slows down my efficiency. I prefer 3DE or3DX as the most efficient set of keystrokes related to a TLA. To my opinion PLM is not dead at all for DS. They just market the bigger picture different to be different from the classical PLM platforms. All PLM vendors have their unique marketing approach. Companies need to define what is their next step to remain in business and they are afraid for the old PLM, due to the horror stories – complexity, expensive, etc. Is it selling experiences or perhaps is it making sure a new generation of workers will be motivated to work for your company. It remains a mix of classical PLM functionality, but it is also big data, social media and more interactive and friendly interfaces which are expected. Finally one observation from the 3DExperience forum in Brussels where I believe they could have done a better job. Usually when customers and prospects go to this kind of events, they want to hear that they have chosen the right software provider. So it should be a mix of assuring them they are not alone (many others have chosen our solutions) and excited by the future vision your vendor has. Here they message that all companies need to sell experiences in the future otherwise they will be a commodity created a bad mood. Fear does not push people to change, it paralyzes people. For 3DExperience to work well, it must stand on the shoulders of solid PLM. Stan, I agree – PLM and even more. This is truly a clean article – unbiased, well balanced, realistic and forward looking. Brilliant it is to see Jos capitalize yrs of his experience in the field of PLM (having see almost all aspects of it), to accept and craft subtly the visionary thoughts of DS.. not to forget, keeping focus on *the customers* as always. It remind me of IBM smart planet. Now, I’m trying to apply your conclusion about 3DExperience. 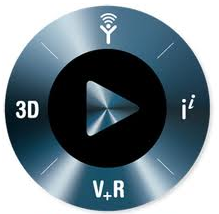 3DExperience — “a way to introduce a bigger picture than PLM alone”…??? You bring so many discussion points in one blog and it is hard to summarize a response. As for PLM definition there has not been even one event I attended, I did not hear about a new definition of what is PLM. In my view all definitions relate one way or another to people, process and technologies in context of product life cycle. For me even the word product is very mushy. In aero it is a plane for example in telecom it is more of a service, etc. but this is a different topic. The best way to see how PLM definition is so elaborate yet unclear and mushy is to try to explain it to someone who is not coming from the field and answer his questions. Back to 3DExperience I personally think it is marketing stunt perhaps an efficient one, but not more than marketing methodology. I guess time will tell. Do you see this new rebranding as driving a drastically new set of tools (probably not in my opinion)? Take what is out there today and say it targets the whole customer \product experience, but the tools are out there already for the most part. DS claims there will be great ways to experience things and obtain information on a level we were never able to achieve before. 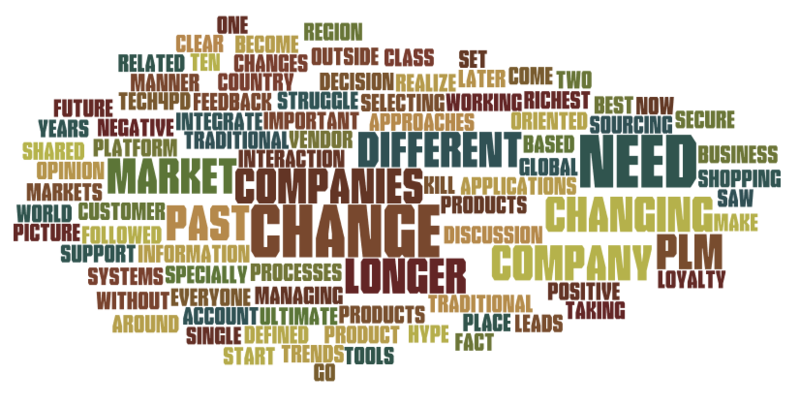 However, is this really a paradigm shift in the market and the PLM software industry as a whole? Look at the gum ball example with the spiral. This idea existed for decades and it is all about experience. Personally I have not made my mind about it yet. Ilan hi, I tried to stay focused only on the 3DExperience message, but before that I wanted to clarify there are so many interpretations, main differences are between considering it as an IT-system or as a vision or a collection of best practices. Whatever it may be, i tried to summarize the purpose is to make out clients more efficient. Thank you for the mention, but I still don’t get it. Regarding the experience thing. I disagree that every product is selling an experience. I can change from a phone company provider, I’ll have different level of services but not an experience. The example you take is clearly the example of a good sold with a strong push on the experience. Do you buy the 99€ in a supermarket for the experience? Do you buy a Dacia Logan for the Experience? doubt it. We’ve got many example. Experience works for the upper market. And Dassault might be clearly trying to say that they want to be the PLM solution for companies with high margin products. What I see is that today, there is still a need of a better and more transparent data management. Managing data like you would manage Legos. That’s the key evolution needed for PLM. And PLM should be for every market the Tata Nano needs a PLM just like a Porsche. Can you write a lot about the experience of a Tata Nano? I am sure you noticed the traction to your blog post as a trigger for the 3DExperience discussion. I agree with you that not every product is a selling experience as the economical bandwidth is always a driving parameter for the buyer (Nano / Porche). So in B2B there is no experience and the same for the Tata Nano buyers, they have no choice as there is no competition. Once there is competition to the end user market, companies will try to differentiate in the future based on the experience as being a commodity does not help your margings. Nespresso, Apple, Starbucks and more are examples where the experience is sold in a competitive market. Does the extra price justify the product capabilities ? I do not think so, but there is a large market that wants to pay premium prices for these products. And I believe Dassault is adapting its strategy in the same manner in order not to be compared with the competition. Every company searches for unique selling points still on the product level they will do the same. It is partly marketing and partly packaging. And at the end all of us we are still trying to achieve a basic change as you mention: transparent data management. I agree with Jim’s comments in the refered post. Enterprise software is hard business. Customers want a solution for EVERYTHING, and to cater to those, supplier makes the system COMPLEX. Then users DON’T USE it and customer gets FRUSTRATED. May be dassault can come up with intergrable applications which can provide the solution. Mandar, you are describing the classical problem all software vendors have. To please many customers a lot of standard features are demanded. As enterprise software is not delivered on the scale of for example office software, the price is relative high and qualtiy is less. Also Microsoft Word and Excel have many unused features and people do simple and complex things with it. The trend indeed is to move more to data information platforms and have apps accessing this information.